The choir originated in the early 1970’s under the leadership of Evangelist Lynn Phipps (formerly McIntosh) and would sing at local church programmes and conventions. In the 1980’s Barbara Lamey became the choir leader and introduced the choir to the music of Andrae Crouch. This became the starting point for bringing in the different vocal harmonies. 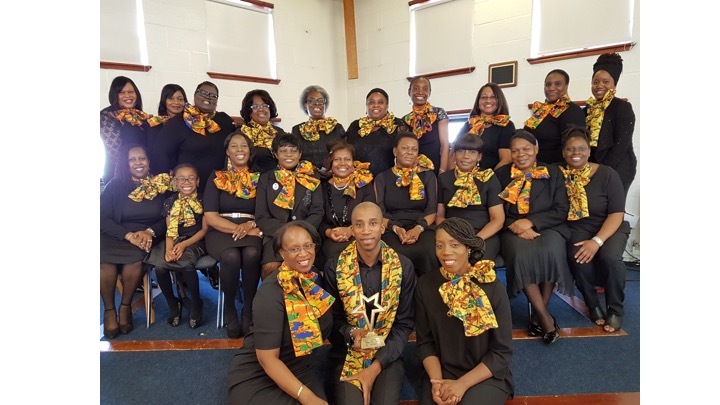 Carol Clarke and Denise Wilson became the next leaders and the choir ministered in many venues including Nevis (West Indies), Radio WM and regional convention. We also performed an Easter musical play at our local church which was written by one of our choir members. Songs during this era included You Alone are God and New Direction. For the past 2 years the choir has been directed by Denise Wilson, Denise Kelly and Gary Fleming. Our last concert in September 2015 included songs such as Amazing, What A Mighty God we Serve. The choir continues to grow from strength to strength. Whilst there may have been changes in leadership and members the ministry remains and is dedicated to bringing the message of the gospel to ‘whomsoever will’.